You'll be £11.99 closer to your next £10.00 credit when you purchase Tracing Your Ancestors Using DNA. What's this? DNA research is one of the most important and rapidly advancing areas in modern science and the practical use of DNA testing in genealogy is one of its most exciting applications. Yet there is no recent British publication in this field. That is why this accessible, wide-ranging introduction is so valuable. 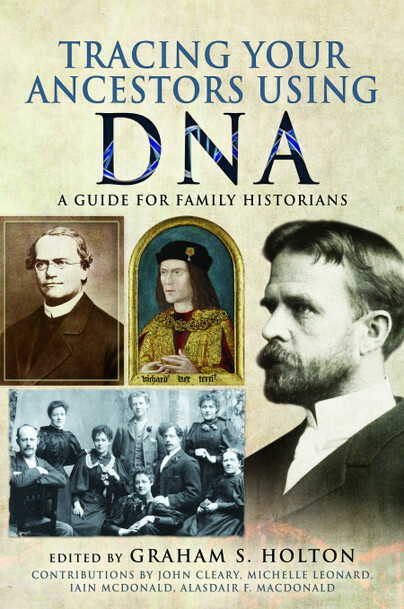 It offers a clear and practical way into the subject, explaining the scientific discoveries and techniques and illustrating with case studies how it can be used by genealogists to gain an insight into their ancestry. The subject is complex and perhaps difficult for traditional genealogists to understand but, with the aid of this book, novices who are keen to take advantage of it will be able to interpret test results and use them to help answer genealogical questions which cannot be answered by documentary evidence alone. It will also appeal to those with some experience in the field because it places the practical application of genetic genealogy within a wider context, highlighting its role as a genealogical tool and suggesting how it can be made more effective. Graham S. Holton (editor) is principal tutor in the University of Strathclyde’s Postgraduate Programme in Genealogical Studies, co-author of Discover Your Scottish Ancestry: Internet and Traditional Resources and leader of the Battle of Bannockburn and Declaration of Arbroath Family History Projects. John Cleary is lecturer at Heriot-Watt University with specialist interest in Y-DNA and ancient DNA. Michelle Leonard is a professional genealogist and DNA detective specializing in unknown ancestor mysteries. Alasdair F. Macdonald is a lead tutor in the University of Strathclyde’s Postgraduate Programme. Iain McDonald is an astrophysicist at the University of Manchester and specialist in the advanced analysis of Y-DNA for genealogy.